Good news is that my health has been holding up for a few days now; which means I've been working on site stuff like mad. Right now I'm building a "new" website for the calendar contest so I can move it off the forums ~and then I start-up the new event for this year. I've always realized that reading through one long forum post, for every piece of info, is pretty monotonous and frustrating. In fact, this has been the plan since year one; but time or motivation has prevented me from doing it until now. ~Bad news is that it's going to take me more than a few days to finish. I also have a TON of emails to answer. And none of them are really things I just want to make a quick reply to. 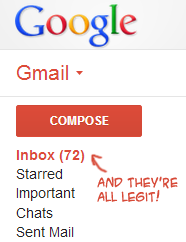 (I think I already cleared those out of the inbox?) They're things that I really want to make in-depth replies to, or they're about stuff I need to spend time on. I kind of disappeared around September, I only was able to get to the contest during that time, so I have a lot of catching up to do. It will take me a while to build the contest site and work through those emails. So, for everyone who has written me, thank you for your patience; I honestly can not wait to get to your letters. I actually look forward to it a lot. I'm hoping I'll be able to do at least a few here and there. Anyway: I don't know how long it will take me, but I have big plans so I'll just be doing what I can until I'm all caught up! (and I might post a few doujinshi that I already had ready in the meantime) ~Thanks!